Olivier Malingue Gallery is pleased to announce the grand opening of its premises in the heart of Mayfair, London. Following from the Malingue family's international expertise in modern, post-war and contemporary art, the gallery will open with the first solo exhibition in Europe of seminal Korean artist Cho Yong-Ik (b. 1934). Rising to prominence in the mid 60s following his studies at Seoul National University, Cho Yong-Ik passed in the 70s to the Dansaekhwa rubric of expression. Presenting a survey of Cho Yong-Ik's works from the 70s, 80s and 90s, the exhibition explores how he at once championed the movement's key tenets - repetition, meditation and tranquility through placing the 'act of making' at the heart of creation - yet differentiated himself from other Dansaekhwa artists by permitting subtle hints of colour to grace his work and placing a further emphasis on energetic materiality. On display will be a select number of works from each decade, which individually yet collectively illustrate how Cho Yong-Ik followed the Dansaekhwa ethos whilst adding elements of his own. The 'Jumhwa' series from the 70s, for example, shows his rhythmic gesturing across the canvas, as he pressed off the top layer of paint with his bare thumb to reveal the alter undertone. Whilst following at times the monochromatic painting values ascribed to by other Dansaekhwa artists, Cho Yong-Ik equally diverted from it, experimenting with dual tones of vivid reds, oranges and occasionally blues. Following through Cho Yong-Ik's 'Wave' series of the 80s and his later 'Mushim' series of the 90s, one continues to see this constant push and pull between the monochromatic tendencies of his peers and his more vivacious channeling of the techniques. For the 'Wave' series he delicately, yet with great physical exertion and in a single exhalation, whisked at the surface of each painting, creating minimalist, repeated yet ad hoc sweeps across the surface. Suggesting rather than depicting the sea or the ocean, the viewer at once senses it through the works' gesturality, and is also left to complete the paintings' pictorial equation both through their physical presence and gaze. Equally with the 'Bamboo Series', the leaves finely appear on the paper, revealing the textures of the materials used. Whereas the image of the bamboo itself is minimalist, two-dimensional and nearly naive, the quality of execution gives the entire series a textural sense of three-dimensionality. Overall, Cho Yong-Ik introduces an important angle to the discussion surrounding Dansaekhwa: he identifies as such an artist, yet, he distinguishes himself through the insertion of colour. Rather than it deviating each painting's emphasis on meditation, Cho Yong-Ik's approach seems to convey the possibility of multiple emotional states, from ones of warmth to others of detachment. As such, Cho Yong-Ik's work probes us to consider the diverse formal languages of Dansaekhwa and fleshes out, to a greater extent, its associations with tactility, spirit and performance. A monograph on Cho Yong-Ik's work will be published to accompany the exhibition, featuring critical essays by the international curators, art historians and critics Flavia Frigeri (UK/IT) and Matthew Israel (USA). Cho Yong-Ik has been highly lauded as one of South Korea's most important painters and recently held a major solo exhibition at the Sungkok Art Museum, Seoul. Further exhibitions include the Samsung Museum of Art, MMCA Seoul & Gwacheon, Arko Art Center Seoul and Fukuoka Museum of Art. 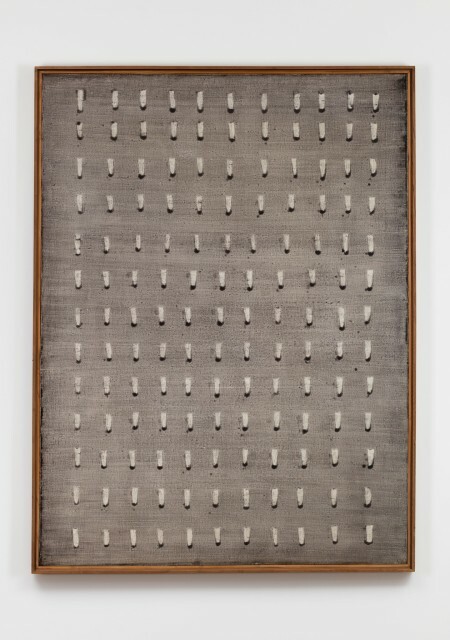 Cho's work has additionally been exhibited in various Biennales, including Paris (1961, 1969), Sao Paulo (1967) and is held in multiple permanent collections, including the MMCA, Seoul Art Museum, Samsung Museum of Art and Gwangu Museum of Art.